these events can be implemented in two ways. 2. 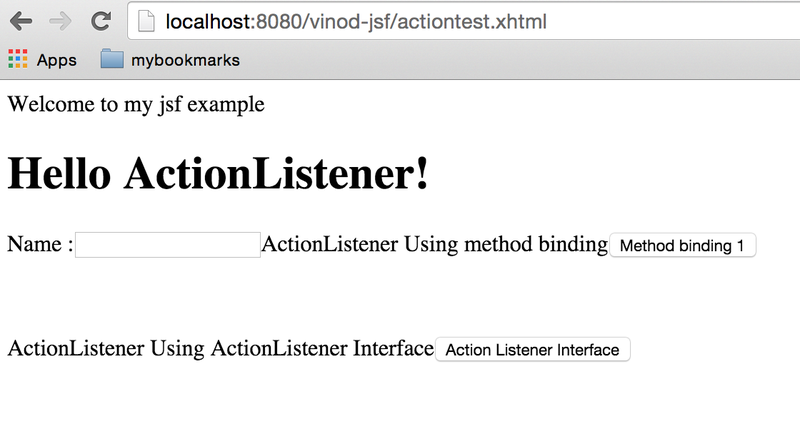 Using ActionListener interface- Create a separate class which implements ActionListener and implement processAction method. <h:commandButton value="Method binding 1" id="methodbindingButton1"